Affordable Care Act Supreme Court Oral Arguments Day 2: What is the market for your health?  - ONRAD, Inc.
27 Mar Affordable Care Act Supreme Court Oral Arguments Day 2: What is the market for your health? Audio, transcripts, and reaction to today’s arguments can be found here: American Health Lawyers Association Blog. Today’s oral arguments in front of the Supreme Court revolved around the individual mandate to purchase health insurance or pay a penalty, as required by the Affordable Care Act. In an ironic twist, the solicitor general arguing on behalf of the government had two possible arguments, the first of which required him to argue that the penalty that would be paid if individuals chose not to purchase health insurance would essentially be a tax, and Congress has the Constitutional authority to levy taxes. Of course, it was just yesterday when the solicitor general was arguing that the penalty was not a tax, because if it was, the current case in front of the Court would not be ripe as one cannot bring a case related to taxation to the Court until the tax has actually been paid, as per the Anti-Injunction Act. The Court was quick to shoot down this argument. The second argument has more teeth. Essentially, the government’s position is that the Constitution gives Congress the authority to regulate interstate commerce (the so-called “Commerce Clause”), and the Affordable Care Act, in its attempt to regulate health insurance, is essentially regulating interstate commerce. The first piece of the argument is that insurance companies will no longer be allowed to turn away individuals due to pre-existing conditions, and they will no longer be able to rescind health insurance if it is found that the insured had a non-disclosed pre-existing condition. This requirement leaves open the possibility that individuals will game the system- wait until they actually get sick, then purchase insurance, and since the insurance companies cannot turn them away for pre-existing conditions, they will get the insurance they need. Insurance companies are then faced with the threat that they will not keep enough healthy people insured to pay for those that are actually sick, or are gaming the system, so-to-speak. Thus, as the argument continues, Congress must be allowed to pass a law that requires people to pay into the system in some way, either by purchasing insurance or paying a penalty, in order to stop the gaming of the system. The argument is that the Constitution gives Congress the authority to do this under the Necessary and Proper Clause. As Justice Breyer pointed out during the solicitor general’s arguments today, this is not the first time that the Necessary and Proper Clause has been used as justification to broaden Congress’s authority to pass regulation that seemingly exceeded the scope of the Commerce Clause. In McCulloch v. Madison, this same argument was used to justify Congresses ability to create federal banks that were outside the reach of state regulatory jurisdiction. Today’s arguments were certainly an hour and a half course in Constitutional Law. They are also the crux of the issue- can Congress force individuals to buy insurance or pay a penalty. The arguments quickly centered around whether or not the law was meant to regulate a market, and thus put the regulation inside of Congressional Commerce Clause authority. The court divided along conservative and liberal lines on the issue, as expected. Based on the questions and comments made by the justices, it appears that, as has become commonplace, Justice Kennedy’s vote may be the deciding factor. Justice Kennedy did weigh in on the conversation regarding whether or not health care is a market and thus can be regulated by the federal government. He made the point that even a person sitting at home, in their living room, poses a risk to the system- that they may be stricken with some illness and require medical attention- and this risk always exists, no matter who you are or where you are in the country- and isn’t it that risk and the cost that risk poses on the health care system what creates the market? In any case, we will find out for sure how the Justices decide in June, but it seems likely that this one will be a 5-4 decision. In the event that the individual mandate is found to be Constitutional, the entire health care system in the United States will change, as the economics shift. The ED will likely change from being a common treatment area for the uninsured to serving its primary purpose of servicing emergency treatment of trauma patients. However, the economic burden will shift to the insurance companies, and reimbursement cuts in general are likely. The truth is, none of us know for sure what will happen. On the flip side, perhaps the worst outcome economically could be if the individual mandate is found un-Constitutional, but is severable from the rest of the Act such that the mandate on insurance companies not to rescind or refuse coverage for pre-existing conditions is allowed to stand. If that is the case, a huge amount of risk will be shifted to the insurance companies, and service levels and insurance premiums are sure to be dramatically effected. Arguments on severability come tomorrow… stay tuned!